This demonstrates itself by white, decolourized leaves in the top of a plant. The leaves may also have black pinholes. 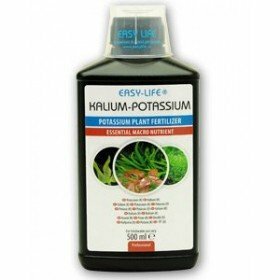 Easy-Life Potassium to compensate for or prevent deficiencies, particularly in aquaria with fast-growing plants.